Five terror suspects � four in Maharashtra and one in Andhra Pradesh � were arrested on Saturday for their alleged links with the members of the Bangalore terror module. "We have arrested four persons from the Nanded district. 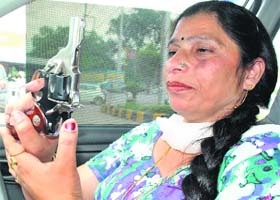 Septuagenarian Amrik Kaur of Amarkot, a recipient of the Shaurya Chakra, a top civilian gallantry award, wants arms licences for both her daughters-in-law to carry forward the family tradition of keeping its women armed. 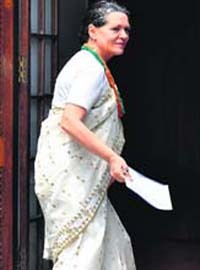 Congress president Sonia Gandhi went abroad today for a medical check-up but only after she had laid down the roadmap for the party�s counter-offensive against the BJP on the coal blocks controversy. She is expected to return in a week. The claims of the Delhi Police of working out a fool-proof case against former Minister of State for Home Gopal Goyal Kanda has cleared the way for a Cabinet reshuffle in Haryana. Almost three years down its five-year term, Chief Minister Bhupinder Singh Hooda is no mood to further delay the changes in his Cabinet. The latest CAG review of dental colleges in India has shown that a large number of these colleges were set up despite negative reports against their managements. 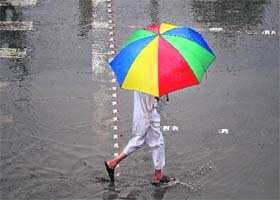 Heavy August showers have significantly bridged the monsoon deficit, much to the relief of the Centre, which has been facing a volley of demands from the drought-hit states. What�s more, more rainfall is expected in the coming week and it may further lower the present shortfall of 12 per cent.